Grand Bay National Estuarine Research Reserve. 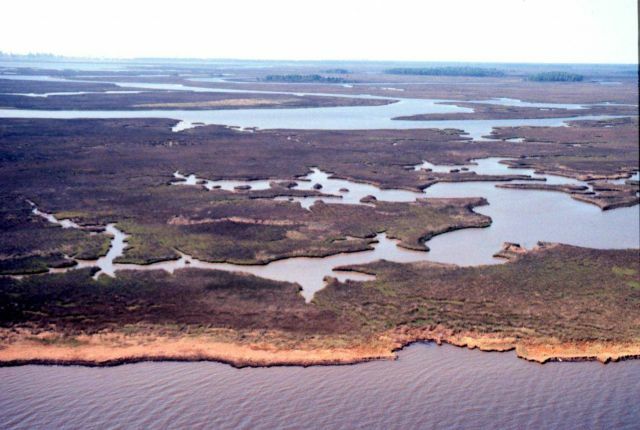 West from Grand Bay showing Crooked Bayou, expansive Juncus marsh, and maritime pine forest islands in northwestern portion of NERR, and Chevron sour- oil refinery in left background. LSU aerial shoreline survey of October 1998.